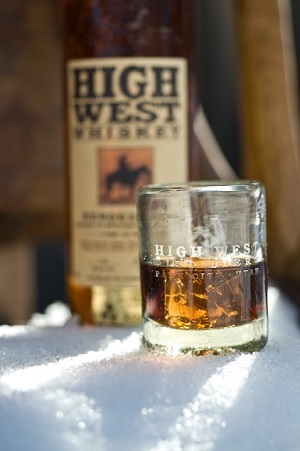 The editors of Transcendental Dram are pleased to announce the selection of High West Whiskey’s Campfire as our newest Whisky of the Month. We’ve tasted a lot of whiskies, bourbons and ryes over the years, but this one gives you a balanced and intriguing taste of all three in one. They may well be the first to do so, but they will not be the last. 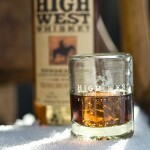 Go High West! Campfire is an inviting dram—indeed transcendental—as we have shown in our illustration (on the left). 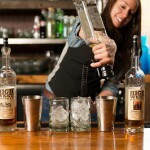 Good neat, on the rocks or in a mix—a versatile whiskey to perfectly suit all drinking styles and all occasions. Campfire is a Bruichladdich-inspired whiskey. 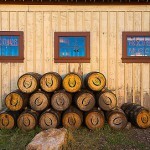 (Whiskey with an “e” generally refers to bourbons and ryes, without the “e” to single malts.) Here is what we saw and tasted. The Color: deep amber.The Nose: full of vanilla, cinnamon, dried fruits, corn, toffee, maple and the most delicate sweet smoke. The Palate: starts with a hint of spicy rich vanilla and a slightly sweet cherry fruit note and finishes with a wonderful delicate wisp of pipe tobacco smoke. The Finish: fruity with lingering smoke that leaves a lasting impression. 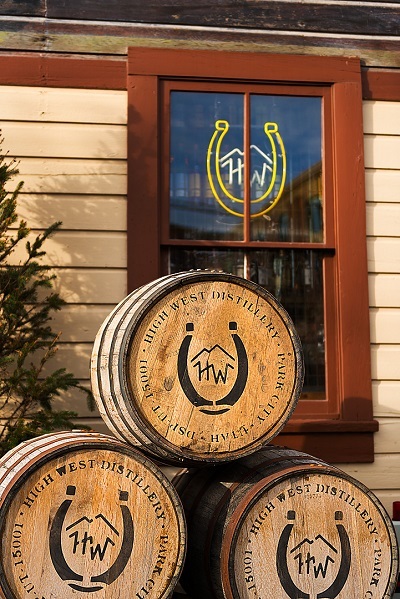 It’s hard to find someone more passionate about whiskey than the folks at High West out in Park City, Utah. 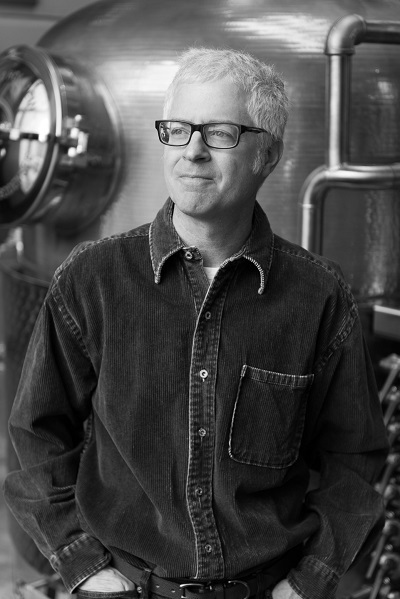 David Perkins, the proprietor, brought legal distilling back to Utah for the first time since way back in 1870, and his vision is good news for whiskey drinkers. 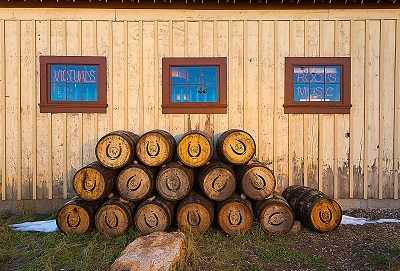 Today’s version of Valley Tan at High West was inspired by the distinctive aromas of the whiskey Perkins experienced visiting the Makers Mark distillery in Loretto, Kentucky. 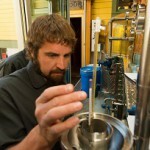 From that point on Perkins knew that he wanted to make whiskey. He is a working biochemist and a passionate cook and lover of food. Whiskey seemed to him to be the perfect marriage of food and chemistry. 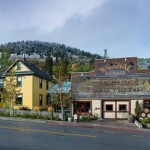 So he moved to Park City, Utah, in 2004 to pursue his new venture in a beautiful place he had always wanted to live. 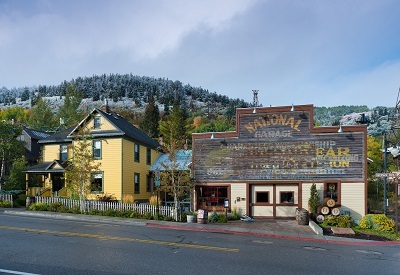 Fortunately, the Utah Winter Olympics of 2002 created an environment that started the softening of Utah’s strict alcohol regulations. Governor John Huntsman, a Mormon, modernized drinking laws, bringing down the “Zion Curtain,” frosted glass partitions that separated restaurant goers from the bartenders. 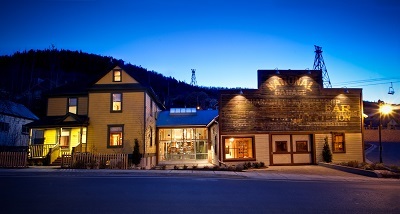 Tasting rooms were still illegal, so Perkins opened a restaurant that became the home of the High West distillery. It was a touch of genius with hungry and thirsty winter sports fans providing a healthy revenue stream. What follows is TD’s exclusive interview with David Perkins. 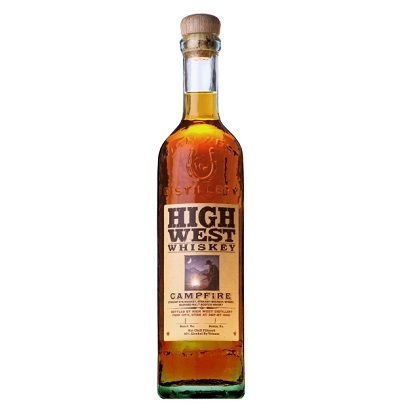 TD: How did the idea of Campfire Whiskey come about? TD: While the proportions of the mix are top secret, how many versions did it take to get the one you settled on? David: Believe it or not, about 60. We found that the peated whiskey really changed a lot in the bottle (bottle shock). We’d finished a blending and tasting session on a Friday thinking we had found our recipe only to come back and taste it on Monday and find that we hated the mixture! I had honestly almost given up on the idea after about 30 recipes. Most were awful! TD: By saying that s‘mores goes well with Campfire Whiskey, as you do on the label, is this an intentional way to demystify this particular whiskey? Or are you taking a swipe at the entire whisky experience that at times can get very hoity-toity about pairings and tastings? David: I think I also said Campfire goes well with good looking strangers (!). Honestly, it really is good with s’mores. We serve a s’more made with homemade marshmallows, homemade graham crackers and a locally made chocolate at our restaurant that is to die for. TD: Do you also provide the good looking strangers, or are we on our own, since good looking is in the eye of the beholder? We’ll give you a pass on that one. When did you decide to get in the whiskey-making business? And how did you get started? David: I decided far too late in life—I should have done it 15 years earlier. I got into it mainly because it’s really a lot of fun. My aha-moment was a random trip to Makers Mark. We went to Cincinnati for a wedding and decided to drive to a distillery. I had no idea most of them were in the middle of nowhere. Well, we finally made it to Loretto, Kentucky. I felt right at home as we walked through the distillery. 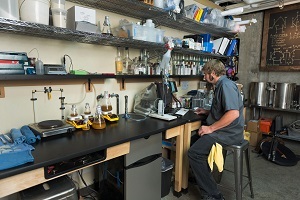 It was all more or less the same equipment as the company where I was working, (Genentech, a biopharmaceutical company). 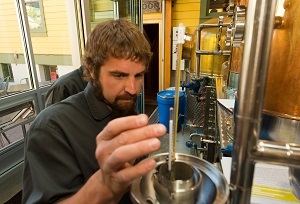 Whiskey making was just another, older, form of biotechnology. So I started thinking, I could do this! Then, when we got to the barrel warehouse and got hit with that smell! That smell of vanilla and caramel. 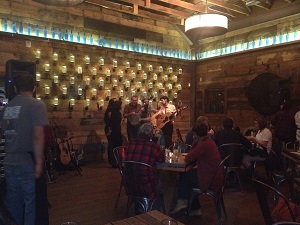 That’s when I told Jane (my wife), “this is what I want to do.” The barrel warehouse is such a magical place! TD: What’s the best part of your job? David: Three things, really. First, it’s really fun to turn people on to whiskey that didn’t think they would like. I tell them there are thousands of whiskies out there and they just haven’t tried the right one. Second, tasting something a few years after putting it into a barrel. It’s sort of a very long term risky experiment. 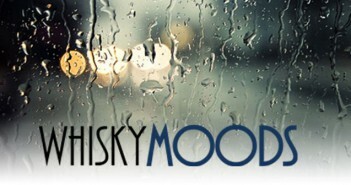 And when it tastes good (like my favorite, our malt whiskey), it’s a real treat. Last, and probably most important, is working with passionate creative people. It sure makes it easy to get out of bed every morning. 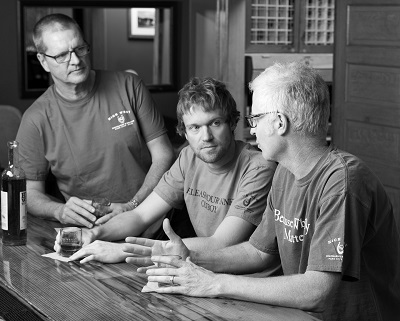 Everyone, and I mean everyone at High West is passionate about whiskey, so it’s hard to just call out only four. If I talked about everyone, we’d be here all day. Our Lead Distiller Brendan Coyle is really doing a great job on defining and distilling High West’s whiskeys—something to look forward to when they are mature. 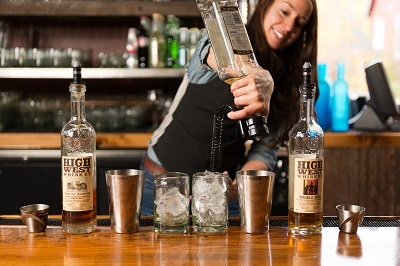 Holly Booth and Steve Walton are our Lead Bartenders and responsible for High West’s James Beard nomination as a leading bar program. And finally, James Dumas, our Executive Chef, is all about bringing the whiskey culture to life by pairing great food with whiskey. 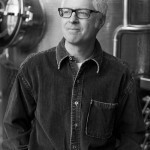 He had a James Beard nomination this year for Best Chef Southwest. 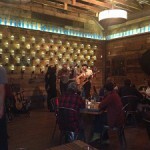 David: My mom gave me a hot toddy for a cold when I was about 9 (bourbon, brown sugar, lemon, hot water). I slept well! TD: Our website is more about experiences than products. Others cover products and tasting notes so well. We’re interested in the stories, the experiences. 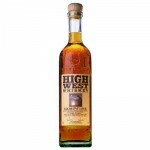 Running High West must be like a kid in a candy store. What, over the years, have been your best whiskey experiences? David: There have been (and I am sure will continue to be) so many. I really enjoy hanging out with whiskey geeks and whiskey clubs. I have been lucky enough to get invited to some great clubs with super duper tastings of old “dusties” or scotches or pre-prohibition whiskies. The pre-prohibition tastings are really pretty magical—you are tasting history! TD: Would it have helped Mitt Romney if he had disclosed the early Mormon connection to whiskey, the “valley tan”? 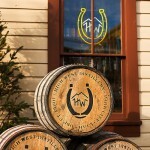 TD: What’s next for High West? 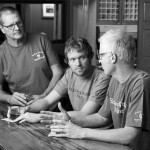 David: Well right now we are in the middle of planning and building our new distillery. 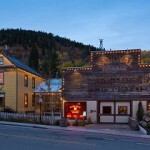 It will be the world’s only distillery, dude ranch, corporate retreat, spa, gun club. Sort of a Disneyland for adults. It will be a wicked cool place to visit and we are really excited about the beautiful pots we are installing. The cement pad got poured last week and we hope to be dried in by Thanksgiving and open by next summer. I hope you come out and visit us! 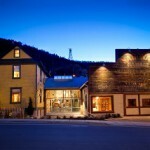 So if you are able to get out to Park City, pop in and visit High West Distillery and Saloon. 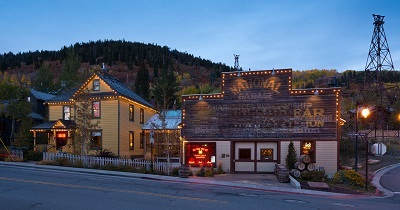 Start the night with “The 36th Vote,” a barrel aged Manhattan cocktail that commemorates Utah’s deciding vote to end prohibition, or try their signature pairing of Elk and a pour of Rendezvous Rye. 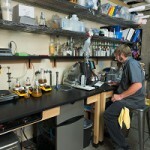 If you cannot get there in person, be sure to pick up a bottle and sample something special. 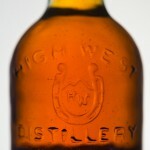 Editor’s Note: More on the whiskey making background of High West, plus TD’s tasting notes on other High West whiskies here. Too many barrels is not enough!